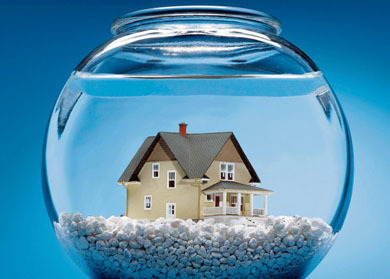 Underwater On Your Mortgage Loan in Florida? If you are a Florida home owner that is underwater on your existing conforming or conventional mortgage, you may be eligible for a refinance without paying down ANY principle, without paying mortgage insurance, and in many cases, without spending any money out-of-pocket. The modified HARP program - HARP 2.0, also referred to as The Making Home Affordable Program, the DU Refi Plus Program, and/or the Obama Refi Program - is specifically targeted towards Florida homeowners having a loan-to-value ratio less than 125 percent. However, an additional guideline change to HARP 2.0 actually lifted the loan-to-value restrictions. So, Florida borrowers with a loan-to-value ratio even greater than 125 percent can now apply to this program. HARP 2.0 gives Florida homeowners the ability to refinance at today's low mortgage rates without private mortgage insurance, exorbitant closing costs and fees, and in most cases without an appraisal. If you have been turned down before for this program, you will certainly want to re-apply for HARP 2.0. Unfortunately, Florida homeowners rarely know who "owns" their mortgage loan. Normally, homeowners receive their monthly statements, and make their monthly payments, to their mortgage servicer. This is usually not the company that provided the funds originally to make the loan. Elimination of underwater limits which implies that Florida borrowers now have the opportunity to refinance regardless of the fallen values of their homes, whereas loan-to-value limits were previously prefixed at 125 percent. Step 4: Meet with Christian Penner to go over the final numbers, closing date, etc. If you have any questions or concerns, please don't hesitate to call my office at 561-316-6800 or email me at TheMortgageTeam@ChristianPenner.com . I am here for you! 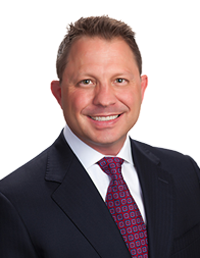 Contact Christian Penner, your Florida HARP Refinancing Expert, to setup a free consultation to determine if you are eligible for the HARP program. I will be honored to work with you!